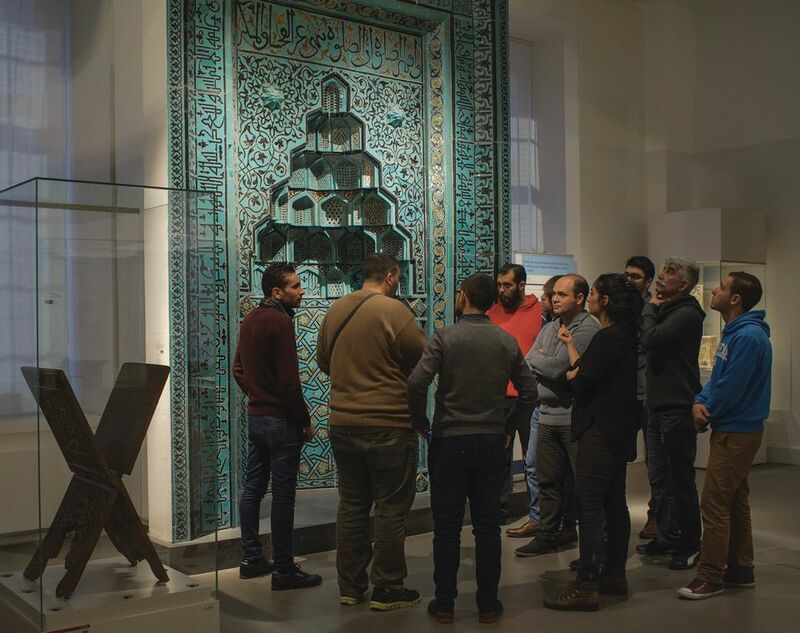 Berlin’s award-winning museums project training Syrian and Iraqi migrants to lead tours in Arabic is itself crossing borders. Since February, Oxford has developed its own version of Multaka: Museum as Meeting Point—Refugees as Guides in Berlin Museums, first launched in December 2015 by Berlin State Museums and the Deutsches Historisches Museum. Oxford’s museums have been doing outreach for seven years with the city’s community of Arabic-speaking refugees. Inspired by Multaka, the Pitt Rivers Museum and the Museum of the History of Science decided to run a similar project jointly, taking on the name with the Berlin team’s blessing. The Museum of the History of Science is training refugees as guides to its astronomical instruments collection. “We realised there was lots of work that could be done to make this collection more accessible and, as many of its objects grew out of the Arabic-speaking world, it was a good fit for this project,” says Abigael Flack, the collections officer for Multaka Oxford. Eight of the 26 registered participants will deliver tours in Arabic and English from the end of this year. 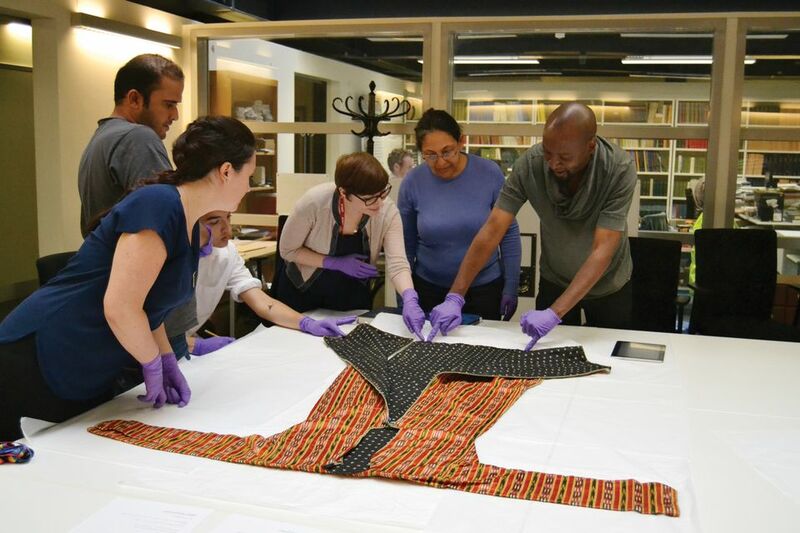 The Pitt Rivers is engaging communities in “more hands-on curatorial work”, Flack says. This helped to secure a £120,000 grant from the Esmée Fairbairn Collections Fund, run by the UK Museums Association, which supports collections projects with a social impact. The refugees are co-curating an exhibition based on a recent acquisition of Middle Eastern textiles. Flack is teaching them to observe, handle and label objects for the show, which is due to open in April 2019. Translating Multaka to the UK has not been plain sailing, however. German law allows anyone regardless of status to earn up to €2,400 a year, but payment is not possible in the UK without a work permit, which many refugees do not have. “It has not been a major barrier,” Flack insists. Multaka Oxford covers all the participants’ travel costs, which are capped for other museum volunteers. The project has gone down well with the city’s forced migrant communities. Some use the workshops for socialising and practising English, while others are developing a deep interest in the artefacts and building their CVs. The museums are planning seminars next year to share their findings with the UK museums sector. The aim is to secure more funding once the Esmée Fairbairn money runs out in September 2019. The Multaka concept is spreading further afield too. Project leaders in Berlin have been in talks with the Louvre in Paris and the Museum of Modern Art in New York, while a similar initiative around glass-making was started in Portland, Oregon, by the non-profit association Berlin Glas. No two projects will be exactly alike and the original initiative is evolving. “Multaka worked perfectly in the first two years because of high demand; now that has sunk a bit, partly because Germany’s borders have been closed,” says Salma Jreige, the project manager in Berlin. In August, the guides began giving English and German tours to appeal to locals, an increasing number of Farsi-speaking migrants and to help more settled migrants improve their German.